AnonD-279813, 09 Sep 2014I have typed the answer once before but then something went wrong with the server… so let me m... moreThanx Tomazz... But if I use a power bank then is it a perfect mobile for me ?? 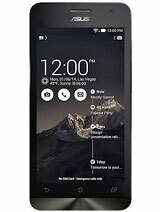 ravinder125, 09 Sep 2014plz tell me where dis mobile availableIn India its available on Flipkart. And also available in Asus store. You can call and confirm on toll free no. You're talking about 7 hours of on-screen time + several more hours of talk time per day, with part of that 7 hours being 3G and Wifi, and the rest gaming or maybe even gaming + 3G/wifi. I do have significant doubt that the phone will last you through the day without a power bank. Although the performance of the older Moto G is mediocre, it due to that has a lower power consumption, and by that a longer battery life. So while you can't expect the same class of gaming experience (nor video experience, if watching HD videos), Moto might be more appropriate for you. 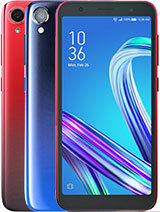 I am certain there are other models out there that feature lower specs and larger battery, especially Sony is very generous on battery capacity, which might suit you better. ZenFone might disappoint you in longevity department. 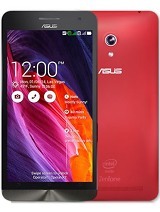 Anonymous, 09 Sep 2014which phone is good Asus Zenfone 5 or Micromax Knight Cameo? 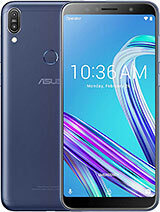 ?Asus Zenfone5 its fabulous phone. I think Micromax knight is not successful model. I hardly heard about it and seen the reviews. 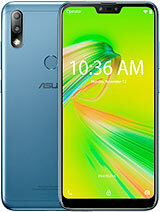 And Zenfone 5 is a very successful product more than 100 reviews available on web you can check it. mici, 09 Sep 2014asus is bad, simcard cannot detech, i just bought for 2 weeks and problem is coming. i hope as... moreIt might not be a phone but a SIM problem. When I got a previous Samsung phone, it disliked the SIM that worked without issues in iPhone before, and on asking the telecom over it, I was told that was quite a common problem, so they exchanged SIM for new one, which I inserted in front of them - all perfect. Therefore I would recommend first using a soft polymer eraser to clean the contacts, if that doesn't bring success, then testing with another SIM, and if that works but your SIM doesn't, take SIM to telecom and ask for a replacement. AnonD-304214, 09 Sep 2014Yes it already supports OTG function once you updated the system. Yes, OTG is supports after updating latest system update. We can use USB Pendrive, Keyboard even mouse through OTG. Dipu, 09 Sep 2014Hey frnds zenfone 5 is support otg or not ?? ?Yes it already supports OTG function once you updated the system. 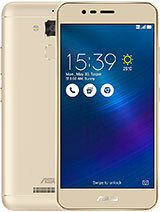 Hey frnds zenfone 5 is support otg or not ??? mici, 09 Sep 2014asus is bad, simcard cannot detech, i just bought for 2 weeks and problem is coming. i hope as... moreNo, I never faced this kind of issue in ZF5 and not seen any blogg regarding sim card detecting problem. I am regularly changing the SIM cards but never face any problem. Even ZF5 is better than my old smartphone MOTO-G. Earlier when i changed the sim card or remove the sim card phone from my MOTO-G, its always asking for restart. But Zenfone its working without any restart in sim changing and SIM card also detecting in 5-10 seconds. AnonD-304207, 09 Sep 2014Thanks a lot Tomazz. Yes I am using True SIM. 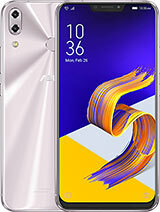 Oh.. but How can i check my Zenfone5 have LTE... moreIf it has KitKat 4.4.2, only 1 SIM, and a Qualcomm ARM processor - it has LTE. If it has JellyBean 4.3, 2 SIMs, and Intel Atom processor - it is 3G. The LTE model is A500KL, the 3G dual SIM model is A501CG. asus is bad, simcard cannot detech, i just bought for 2 weeks and problem is coming. i hope asus can fix this simcard reader trouble in zenfone 5 in quick respond. 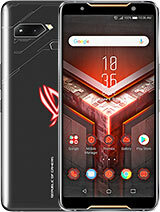 i am very dissapointed using asus smartphone by now. now my phone was in service centre. -It can handle high graphic demanding games like Asphalt 8 and Nova 3 at high settings smoothly. -Changeable back cover with available different colors of choice. -Low Light Mode is really impressive, tried with other phones even on their night mode, Asus Z5 wins. -system updates are usable and great. -Video recording is also acceptable, sound is very good. Overall This Smartphone is Impressive and Great for its price..very affordable! I'm really enjoying it. Très satisfait, Je suis des Philippines. 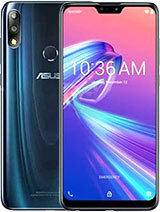 which phone is good Asus Zenfone 5 or Micromax Knight Cameo?? AnonD-279813, 09 Sep 2014KT and SK Telecom both have 3G on 2100 MHz. You did not mention which Thai operator you are... moreThanks a lot Tomazz. Yes I am using True SIM. Oh.. but How can i check my Zenfone5 have LTE version? AnonD-304062, 08 Sep 2014I buyed Asus Zenfone 5 8GB 2 weeks back.Now im facing with the network problem....suddenly the... moregot to setting--> wireless & network --> network mode --> (change to)GSM only.